A puppet fabrication and performance company for film, television and commercials. We are a creature building, puppet loving company. Dedicated to providing you the best character development experience! We are a one stop shop! Having a background in film and television, we can help develop and produce your video without the hassle of getting the puppets made here, then going elsewhere for your production. We can custom design and plan your character with the technical needs required for building it into a 3D character! Ever want a puppet built to your specifications? We can help. Ever need a puppet manipulated for the entertainment of others? We can do that. 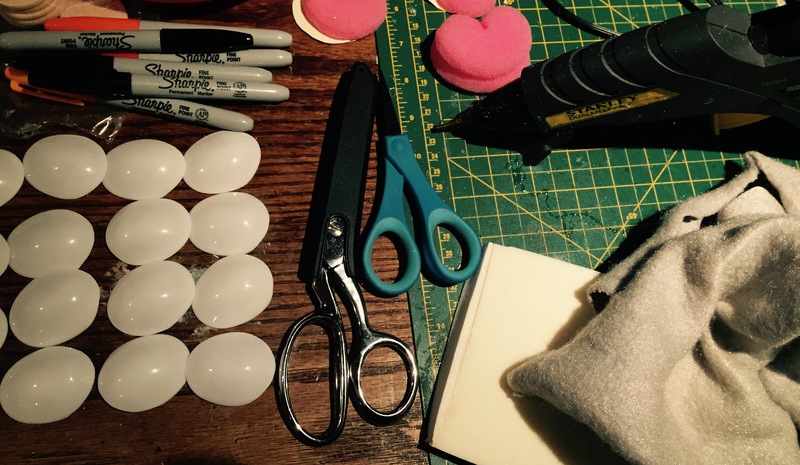 Ever want to learn how to build a puppet from scratch? Certainly, we can help you with that. Ever want your house cleaned for free? Sorry, can’t help you! Get up and clean it yourself! Have a character you want to bring to life for a play, commercial or television production? We will work with you to get the highest quality puppet. Contact Us! Ever dream of being able to manipulate objects with your mind? How about taking the first step and move them with your hands? Learn how to manipulate puppets properly and in a safe, none-judgemental class. Class date and times coming soon! One of the many strengths we have is in film/video production. With an extensive background in film and television we are able to see your production through from beginning to end. Contact us for more information! Tom Stewart, graduate of Film Production and worked in the film and video business for more than 15 years. Tom is a puppet fabricator and performer and has built many characters for both film and television. He is also The Creature Works Studio founder. Tam Tran is a graduate of film and media at Queens University, but unfortunately they have no return policy for degrees. He writes, directs and often puppet wrangles. He is also a walking encyclopedia for everything comic book related. Ever play Where’s Waldo? Just kidding, we are closer than you think.